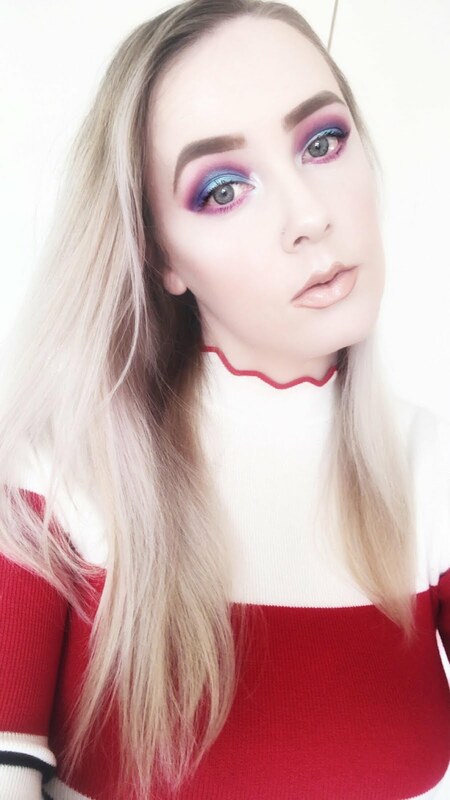 I've been thinking lately that I don't seem to have some kind of schedule for my blog, sometimes I lose motivation to sit up and type up a post or I feel like I just don't have anything to talk about. I have noticed that I post at least maybe two to three times a week apart from the period of time when I was ill. I'm going to continue doing that and maybe in time I will get back to posting daily, I need to get my blogging mojo back. Anyway, I have a beaut of a product to show you lovely ladies today which I'm sure you've more or less heard about already, the Soap and Glory Sugar Crush Body Wash. 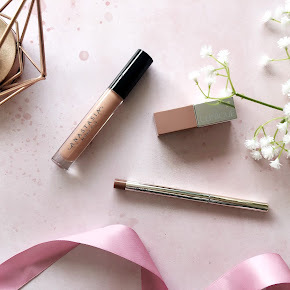 Okay, so I'd say this is the first single product that I've bought from Soap and Glory ever, excluding the Soap and Glory Barrelled gift bag that I bought during the festive period. I'm not necessarily a huge fan of body washes or gels, I get a lot of them for Christmas but I never repurchase the same product again, ever, but this particular body wash surprised me. 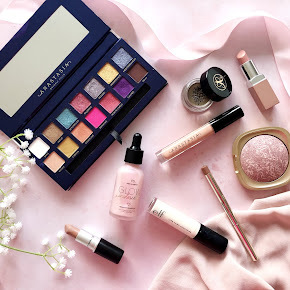 The packaging is lovely and so appealing to the eye with the usual eye-catching colours, it's very vibrant and looks quite feminine which I love. 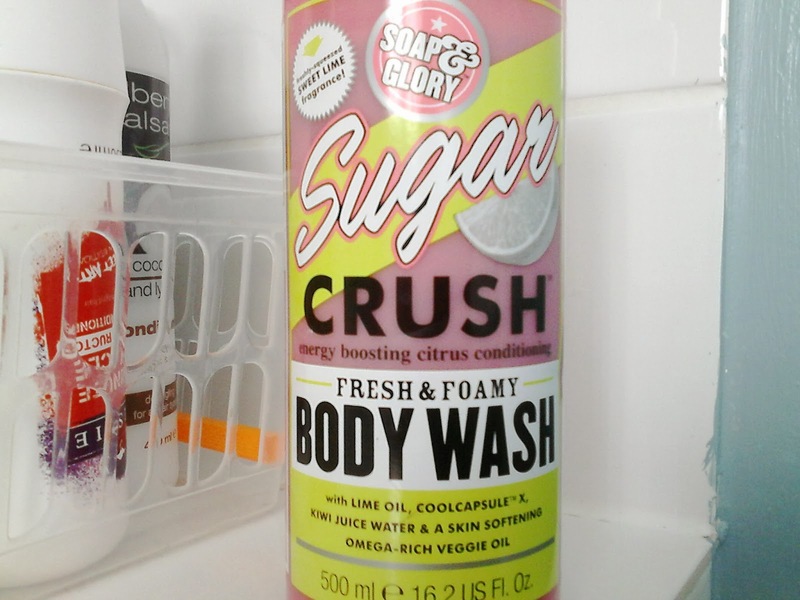 I love that it has a pump dispenser, normally with body washes I tend to pour out way too much product but with the Sugar Crush Body Wash that's definitely not the case, I can pump out as much product as I like without wasting any of it. It is a very light and creamy body wash which lathers up quite well when mixed with water so you'll only need at least two-three pumps of the product to use all over the body. It completely moisturises and nourishes my skin with the added omega-rich veggie oil, it never leaves my skin feeling dry at all. As for the scent, wow! It is not one for the faint hearted, it is incredibly strong with the freshly squeezed lime and kiwi juice water, along with coolcapsule x and the omega-rich veggie oil. The lime scent definitely stands out the most, it smells so fresh and zesty which I like surprisingly as I normally like quite sweet smelling scents. This is one of those body washes that is great to be used in the morning as it's incredibly invigorating, it makes you feel completely revitalised and ready to start the day. 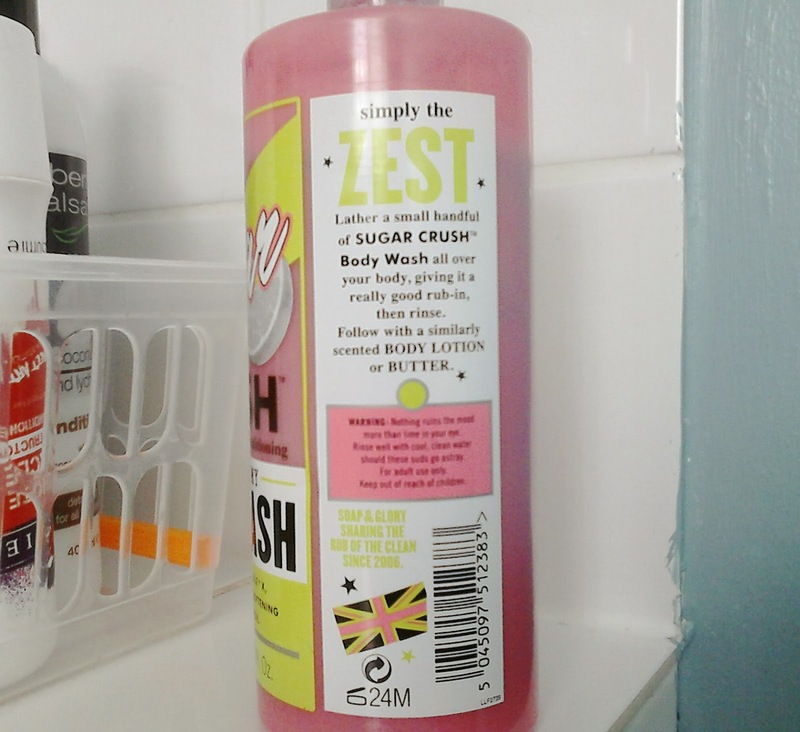 I wholeheartedly love the Soap and Glory Sugar Crush Body Wash, it is great value for money as it's 500ml of product for £6.50, it will last me for ages. You can purchase it online here or at your nearest Boots store. 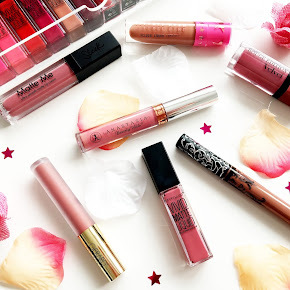 What Soap and Glory products do you recommend?